Excellent submitted by Joseph G. - Apr 06, 2016 |Recommended: YesVery great place to live with the exception of parking space options for multiple people. response from property - Apr 13, 2016 Thank you for sharing your review of Virginia Square Towers, we're sorry to hear the parking situation has caused frustration. I understand at this time we can only offer tandem spaces for units with multiple people, which is the best option at this point in time. We are continuing to work to make this issue better for everyone. Sub-par for south towersubmitted by Mary V. - Mar 30, 2016 |Recommended: NoOverall Virginia Square Towers is a nice apartment complex to live in but the difference in amenities between the North and South towers without any change in rent is a big issue. I would not recommend others to live in this apartment just due to the inconvenience factor of several issues you have with the South tower. The North Tower has security guard at the desk that is able to let guests up in the elevator and monitor deliveries. The 2 BR parking situation needs to be altered. There are many residents who do not have cars and thus do not require parking spaces and yet you do not allow any of the tandem parking spots to move into single parking spaces when they are available. Many 2 BR apartments do not share similar schedules and from personal experience my roommate does not have a second key to her car and therefore I am having to go up and down from my 6th floor apartment to G4 to move her car, then bring the key back, then leave which is time consuming. For a luxury apartment complex as you market you do not make my living situation feel like a luxury. I pay the same rent as those in the North Tower yet they they truly do have a luxury living situation where I feel as if I do not. response from property - Apr 06, 2016 Thank you for sharing your review of Virginia Square Towers. I'm sorry to hear about your frustrations regarding our parking situation. Our Resident Manager will be reaching out to you so that we can work to improve your residency with us. Ideal apartment community, great price for luxurious livingsubmitted by Miquel A. - Mar 24, 2016 |Recommended: YesI have lived in DC for about four years and VST has been my greatest residential experience by far. The newly constructed apartments offer luxurious living at a price well below DC standards. The location is perfect for computing to work and within a block of the DC metro, Starbucks, 7-Eleven, and GiantÂ® grocery store. The state of the art exercise facilities, modern design art, conference rooms, and outdoor pool are maintained by a friendly and accommodating staff. Well-dressed and polite, VST team members will make your smallest issue their first priority. The staff will welcome you into the VST community with their energy, responsiveness, and charisma. If you are considering living at VST, call the leasing office today. I promise you will love it here. response from property - Apr 06, 2016 Thank you for sharing your review of Virginia Square Towers! 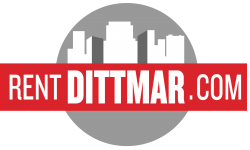 We are happy to hear you have enjoyed your living experience in a Rent Dittmar community! response from property - Mar 11, 2016 Thank you for sharing your review of Virginia Square Towers. We're so happy to hear that we have been able to improve your residency with us. Please let us know if there is anything else we can do. Great place to live although noise is at times an issuesubmitted by Patrick M. - Feb 29, 2016 |Recommended: YesI really enjoy living here - convenient location, great amenities and friendly environment. The only negative is noise from the hallway and other apartments travel too well into your apartment. From my bedroom I can hear conversations in the hallway regularly and can also hear toilet seats slam from other apartments usually above . That being said, I fully plan to renew my lease for the foreseeable future. response from property - Mar 02, 2016 Thank you for sharing your review of Virginia Square Towers and we are happy to hear that you have had a great living experience so far. We will continue to work with the community to ensure all residents are respectful regarding noise in the community spaces. Please reach out to our Resident Manager should you need anything at all to make your residency better. Superbsubmitted by Chris S. - Feb 25, 2016 |Recommended: YesThis is pretty much your no-compromise building. In short, I love everything about the apartment. It's location, the amenities which are well-cared for and thoughtfully designed , the layout and appliances, having a balcony, indoor parking, it's great. The noise is generally dead silent but my one constructive criticism is that there are noises that make it through the walls partiers going through the fountain area, the pool ventilation unit, the music from the party room, and the neighbors who seem to take their baby for a hallway stroll when it cries . response from property - Mar 02, 2016 Thank you for sharing your review of Virginia Square Towers, we are constantly working to ensure that all residents are respectful of their neighbors so that everyone has a great living experience. Please do not hesitate to reach out to the Resident Manager should you need anything to help make your residency with us better! Living Virginia Square Towerssubmitted by Karen G. - Feb 23, 2016 |Recommended: YesThe building is beautiful and kept spotless, the staff is very friendly too. A modern luxury apartmentsubmitted by James M. - Jan 02, 2016 |Recommended: YesModern apartments with high quality amenities and friendly staff. The walls are a little thin so neighbours with sound systems can be heard. Pretty, but not worth the moneysubmitted by Derek S. - Dec 27, 2015 |Recommended: NoIt looks really nice and has great features, but you can hear neighbors walking and toilet seats around the clock that will keep you up. The full windows are nice until it get cold out, then the heating is very inconsistent hot in the bedroom, but cold in the living room. Nice, but not worth the extra money. response from property - Dec 30, 2015 Thank you for sharing your review of Virginia Square Towers, with your feedback we are able to work to ensure you have a great living experience with us. Please be sure to submit any maintenance requests for heating/cooling issues so that we can work to resolve these issues. Noisesubmitted by Thomas S. - Dec 01, 2015 |Recommended: YesOn the 12th floor it is very noisy. response from property - Dec 02, 2015 Thank you for sharing your review of Virginia Square Towers, please be sure to report any loud noise that is bothersome to the front desk, security associates or the Resident Manager so that we can work to resolve the issue as quickly as possible.